The Town Foundation opened its 39th ‘Early Kick-Off’ Breakfast Club on Monday 18 March 2019 at Carlinghow Princess Royal Junior, Infant & Nursery School. Around 40 excited children attended the newly launched club and sat with their friends before being invited up table by table to the breakfast buffet point. The buffet was filled with goodness as the smiling children were able to help themselves to juice, cereal, fruity pots, toast and yogurts, giving themselves the perfect start to the day! Town Foundation staff were also on hand to help serve a nutritious breakfast to the children as they selecting what took their fancy. After filling up with healthy food, the children either went into the gym to engage in school fun-filled sports activities or stayed in the breakfast room to play board games and build Lego. The perfect start to the day. In attendance was Club Ambassador Andy Booth, Jeanette Cartwright from Kirklees Catering and the Town Foundation Staff. “It is great to see another breakfast club launch, we are thrilled to be able to continue working with local schools. 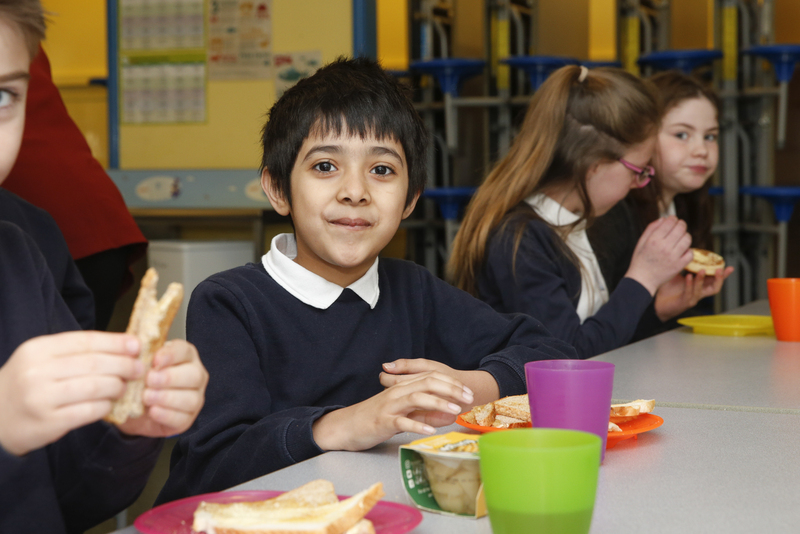 The ‘Early Kick-Off’ Breakfast Clubs is the brainchild of Huddersfield Town Chairman Dean Hoyle as a means of ensuring children in the local area have the perfect start to the day with a free healthy and hearty breakfast.